Need a booking form? Try this form creator now! Whether you are trying to run a survey or publish a reservation form, B2J Contact is always there to help you. Whether you are trying to run a survey or publish a reservation form, B2J Contact is always there to help you. 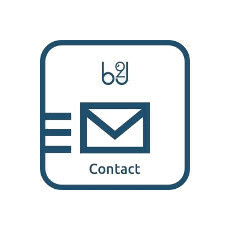 B2J Contact is a revolutionary, multifunctional Joomla! contact component. This super easy-to-install component brings you the ultimate pleasure in User Experience with its clean design and user friendly backend. Craft your website to provide an optimal viewing experience and easy navigation for your users to browse on any device. Our products are developed according to good practices and recommendations from the major search engines. Your website will be displayed ideally on any browser and screen with our cross-browser compatibility. Our handy presets will ease your job by enhancing and extending the needed products. Customization has never been so fun and engaging! Custom our products and enhance them per your needs. Maintain your website, multitask without any worries with our lightweight products.